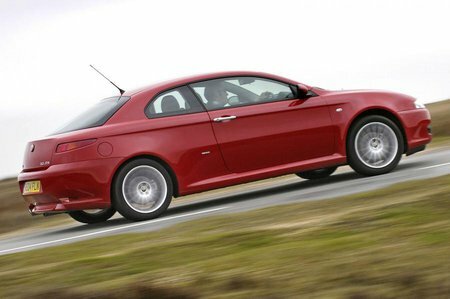 What's the used Alfa Romeo GT coupe like? Based on the same platform as the 156 saloon, the Alfa Romeo GT is a car that keen drivers will love driving hard – but only if the road is super smooth. If you encounter bumps or lumps, the front wheels begin to scrabble for grip. The 1.9 JTD diesel engine suits the GT very well, as does the 2.0 JTS petrol. The great-sounding 3.2 V6 is quick, but has too much power for the GT's chassis. The good feeling through the steering is one of the GT's finest assets, but in tight corners, it's all too easy for the strong engines to spin a front wheel, bringing the traction control into play. There's only one trim level on the GT and it includes plenty of equipment. The driving position is suitable for most, although taller drivers may struggle to make themselves comfortable. Space in the rear is too cramped for adults on longer trips.